Happy Mothers Day! I just noticed I have no gift bags or wrapping paper other than kid ones. I found this cute paper bag gift bag and immediately knew it would be perfect for my sons great grandma. 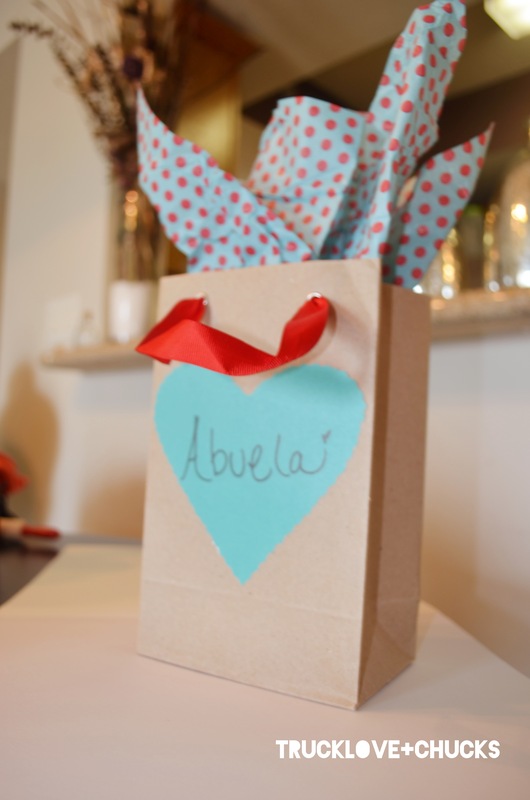 With a couple of must supplies and love we came up with this simple but cute personalized gift bag. 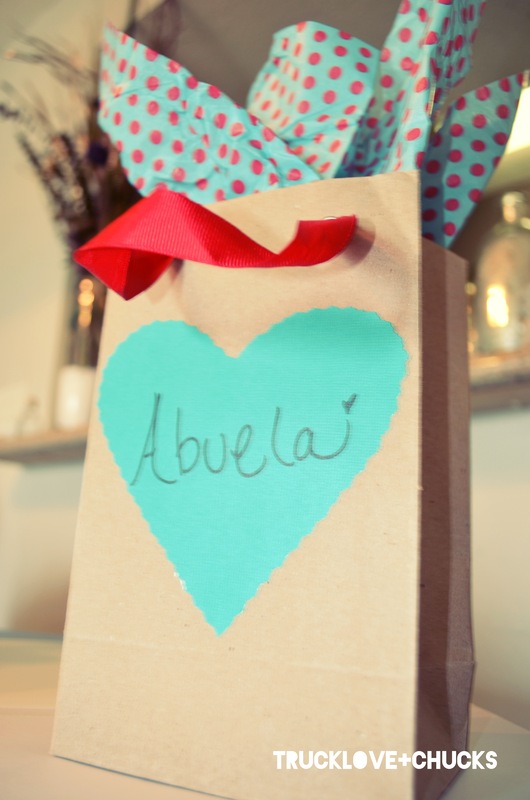 Simply, cut out a heart and glue/ tape to gift bag then write down the name of the person and insert gift!